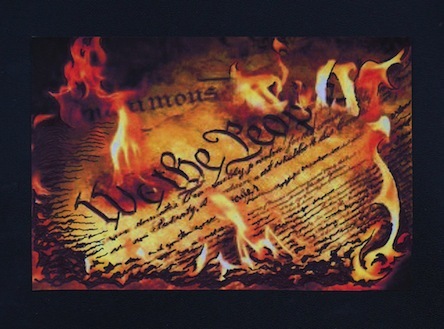 America is repeating history in the most horrific ways possible, by burning laws & the Constitution at every opportunity! Caligula was the Roman-Empire’s stereotype for George W. Bush. “Sensitive and handsome, Nero (reigned 54 ­ 68 AD) started out well as emperor. But his early promise gave way to wild extravagance and murder. His rule ended as violently as it had begun. How did we get from primitive leaders of Roman Empires to this century? That seems simple enough. Just add technology, a heavy helping of global-treachery, seasoned by traitors and you have treason in abundance: Which equals the current imposter-without-a-country. Barry Soweto is determined to end America and wipe us off the map of the world forever: And “we” made this walking-treason and talking traitor possible—because we chose to ignore his crimes. America’s NERO for the Twenty-first Century? Or his lawless mercenaries all over the planet? If it had not been for national and then-still uncorrupted television during the Watergate Trials, the public would never have known anything about the crimes of Richard Millhouse Nixon. We only found out about what Nixon did and what was illegal, because Sam Ervine ran the hearings. Had Senator Ervin not informed the public, on television, so clearly, about what was legal and what was not ­ just like today, nothing would have happened to Nixon. If congress refuses to get involved in this, then the public may have to be heard from, about exactly which oath every member of congress is loyal to? Those who swore to protect and defend Israel, over the USA, need to join Nero in being declared public enemies—because no nation-state can ever serve two different entities… Americans need to choose who to believe and who to remove from office. Today there is no one to tell the public, on mass-media-television, about the crimes, war-crimes, treasons and traitors that have ruled this place as dictators since we entered the New Millennium. This became true because most members of the 535 Club have sold this nation to Israel—which makes them traitors, along with the Supreme Court that participated in the government-Intervention that illegally put Bush the Traitor into office. Congress only works some 70 odd days a year, at their official jobs. At the moment they are “on vacation” ­ again. This does not excuse them from needing to call themselves back into session to stop this additional illegal war from continuing with the blatantly illegal bombing of Syria that is no threat whatsoever to the United States. The 126 members that have called for the congress to reconvene, might not all be against Obama’s treasons. But the other 309 members of Congress have all signed loyalty oaths to Israel, over the oath they took when they were elected to office, to support and defend the Constitution and the people of the United States of America! Because what has been so graphically revealed, by so many nations and even by some of those who used to work for the global-state-media itself: There is a time limit on continuing to allow our Nero to continue to occupy the office he sits in. Washington preens itself on being “the world’s greatest democracy.” Washington uses the claim that it is spreading democracy as a justification for its naked aggression­a clear and unambiguous war crime­against other countries. Washington cloaks its illegality in democratic rhetoric despite the obvious fact that its wars are not a consequence of democratic decision. 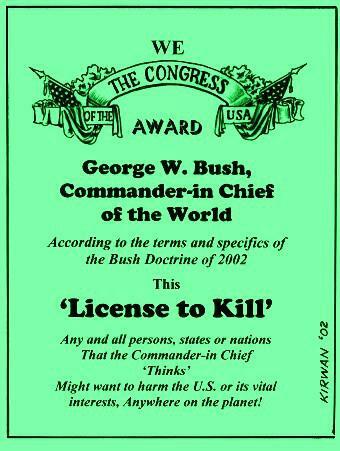 In 2002 the Congress gave the resident of the Oval Office this License to Kill. They did this to escape their congressional responsibilities over the need to vote on officially declaring all our military wars! 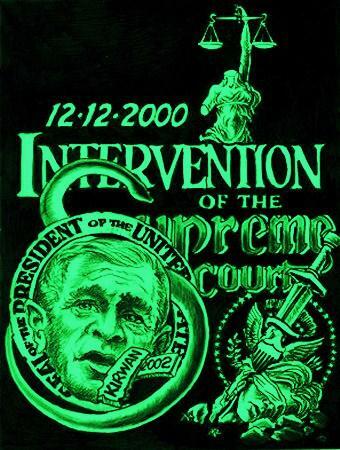 Bush passed this on to Nero, that’s the “HOW & WHY” which confronts us all today! “Polls indicate that 80 percent of US citizens believe that a US military attack on Syria requires approval by the House and Senate. Yet, the Obama regime is purposely avoiding any such vote. The Obama regime has also ignored the letter signed by 162 members of the House of Representatives demanding to see evidence, debate it, and vote prior to any US military strike. The self-declared dictator and traitor in our midst?